There are two things driving Jessica Weaver’s continuing interest in islet transplantation and type 1 diabetes. The other reason hits a bit closer to home. Her husband, Atlanta attorney Oren Snir, has type 1 diabetes. So when it comes to her work, “he is the lens that I look through,” says Weaver, whose clear-eyed focus on a disease that affects about 1.25 million Americans is bringing her some well-earned recognition. Recently, Weaver was awarded an JDRF (formerly known as the Juvenile Diabetes Research Foundation) Postdoctoral Fellowship. The award supports Weaver’s full-time research over three years, providing for the transition from postdoctoral fellow to, ideally, an independent, faculty-level post. 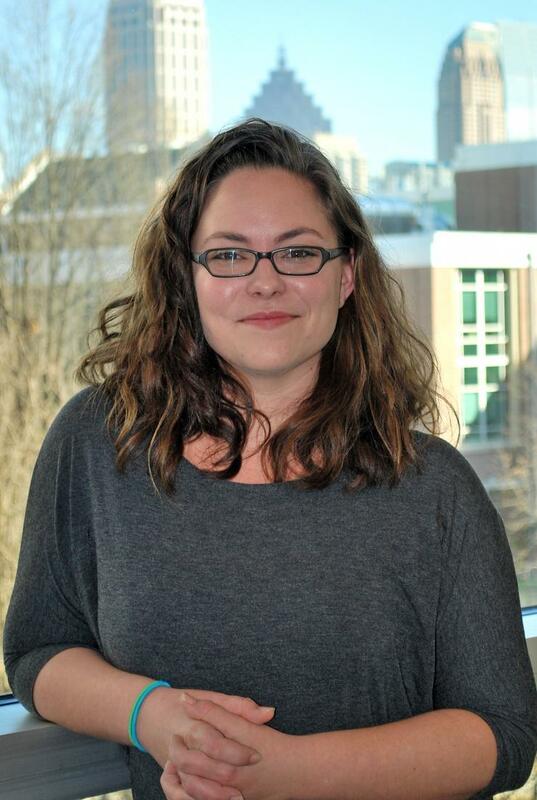 Additionally, Weaver was selected as the Young Investigator Award winner for the upcoming Regenerative Medicine Workshop at Hilton Head (March 1-4), where her research presentation will highlight a different aspect of her research, while still keeping the focus tight on type 1 diabetes, formerly known as juvenile diabetes. Each year, about 40,000 people in the United States, mostly children and young adults, are diagnosed with type 1 diabetes. The disease is characterized by the body’s inability to produce insulin, a hormone used to get glucose from the bloodstream into the cells of the body. Islets are clusters of cells in the pancreas that make insulin. In islet transplantation, cells are taken from a donor pancreas and delivered to a diabetic recipient, where the implanted islets make and release insulin, ending the need for daily insulin injections, effectively ending the disease. That’s the hope anyway. There are some issues. The bioengineers in García’s lab are using biomaterials-based strategies to improve the long-term survival of these islet grafts. The key is protecting the transplanted cells from the body’s immune system, so part of Weaver’s JDRF-sponsored research involves trying to eliminate the need for immunosuppressants. Keeping these precious islet cells from a donor organ alive depends on a number of factors. One that Weaver is exploring in detail for her Junior Investigator research presentation involves investigating ideal transplantation sites. “This technique has been around for about 20 years, and the site they use for transplant has been the portal vein of the liver. That location has demonstrated the feasibility of restoring normal blood glucose,” Weaver says. Unfortunately, it’s also a hostile transplant site, like trying to storm a fortified beachhead, with predictable results. Islets delivered through the portal vein survive a median of 35 months, according to Weaver. Using García’s hydrogel platform, Weaver and colleagues can explore multiple transplantation sites, simultaneously. It’s critical to find the optimum site because currently, using the liver portal vein comes with a very high cost. The islet cells used in this procedure come from a donated human pancreas, “and what happens when using the liver site is, sometimes it takes two to four pancreata to restore normal blood glucose,” says Weaver, who has been on this track for nine years – as an undergraduate researcher and then as a grad student at the University of Miami. It sounds simple, but she knows how complicated it is. Nine years of research, among other things, have taught her that. And she understood early on how dear are the natural tools she is trying to harness for the good of millions, or the good of one in particular. This became clear one day when she was still an undergrad back in Florida, shortly after she and her future husband started dating. That may be when the research moved beyond the abstract, becoming abundantly practical, because every time she cures an animal subject in one of her studies the work becomes a little more profound, a little more urgent.